The land of unending tourist interests, Uttar Pradesh tourism beckons with its wonders travellers from across the globe. Being the land of Taj, the place where kathak originated, the holy Hindu land of Varanasi, the birthplace of Lord Krishna, the site where Buddha uttered his first sermon, all have their home in Uttar Pradesh. Uttar Pradesh is bordered by Uttarakhand, Himachal as well as Nepal in the north, Madhya Pradesh in the south, Bihar in the east and Haryana in the west. Uttar Pradesh is a major ground for religious tourism in India. Uttar Pradesh tourism endearingly appeals to pilgrims as it houses some of the most significant pilgrimage spots. Varanasi, a Mukti Sthala or one of the places for attaining liberation, is a significant place for the Hindus and an ever-appealing tourist spot across the globe. Uttar Pradesh is simply a land of sanctity and an important place for the Vaishnavites. Mathura and Ayodhya, the birthplace of Lord Krishna and Lord Rama respectively, happens to be located in Uttar Pradesh. Other places associated with Krishna like Vrindavan and Govardhan are potential sites for religious tourism with festivity and gaiety all through the year. 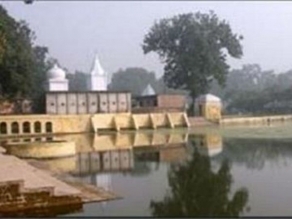 Bithoor happens to be the birthplace of Lav and Kush, the sons of Rama. No doubt it was naturally conditioned to have great Saints like Kabir, Tulsi Das and Surdas, who delivered their devotion in lyrics dripping with piety. Allahabad happens to be one of the oldest cities and it where the confluence of the three sacred and major rivers, Ganga, Yamuna and Saraswati, happens. The place is where the renowned Kumbh Mela takes place, drawing the spiritual and religious travellers and photo enthusiasts from all over the world. It is also a prominent place for Buddhists as it is in Sarnath that Buddha mouthed his first sermon, Kaushambi, where the Ashoka Pillar is found and the place where Buddha delivered a number of sermons, in Sravasti where he spent a good number of years and in Kushinagar, where he dropped his mortal coil. Prabhasgiri is equally important for the both the Hindus and the Jains. Places in Uttar Pradesh have ample references in mythology and are responsible for the flowering of the Ramayana and the Mahabharata, the two great epics of India. Samaspur Bird Sanctuary in Rai Bareli, the Chambal Wildlife Sanctuary, Dudhwa National Park, etc. 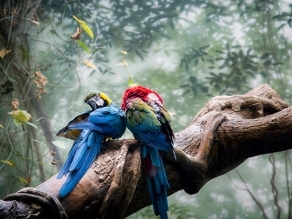 are some places for wildlife enthusiasts, forming an integral part of Uttar Pradesh tourism. Uttar Pradesh allures travellers across the world owing to the beauty and grandeur of its historical monuments. Apart from Agra with its imposing Taj, the world wonder, Jhansi, Lucknow, Meerut and Fatehpur Sikri, constructed by King Akbar, Pratapgarh, Barabanki, Jaunpur, Mahoba, Deogarh, a small farming village, etc. are places in Uttar Pradesh which talk tales of history and culture. Places in Uttar Pradesh like Aligarh, an important centre of learning with its Aligarh University, Varanasi, Lucknow, Meerut, Jhansi, Ghaziabad, Kanpur, Gorakhpur, Noida, etc. are some of the important cities of Uttar Pradesh tourism. Kathak, one of the most famous dance forms of India, originated in Uttar Pradesh. Like the other parts of India, Uttar Pradesh has its own culture and the local culture finds expression in the forms of songs and dances in the countryside. 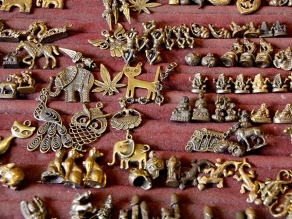 Uttar Pradesh is also popular for its numerous, noteworthy handicrafts like hand printing, carpet making, metal enamelling, brocade work, brass and ebony work, etc. The Lucknowi Chikan, a unique form of embroidery has attained worldwide acclamation. The culture of Uttar Pradesh, also, is an amalgamation of the Hindu and the Mughal cultures, which reflects in the numerous monuments in the state and in the culinary realm. Awadhi cuisine, kebabs, dum biryani and other non-vegetarian dishes are some items that tickle the taste buds of a traveller. Mouth-watering snacks, like chaats, samosas, pakoras, etc., which has attained widespread culinary appeal across the country, is said to have originated in Uttar Pradesh. There is nothing that can hold back an avid traveller from exploring Uttar Pradesh. It has lots to offer and lots more to reflect.